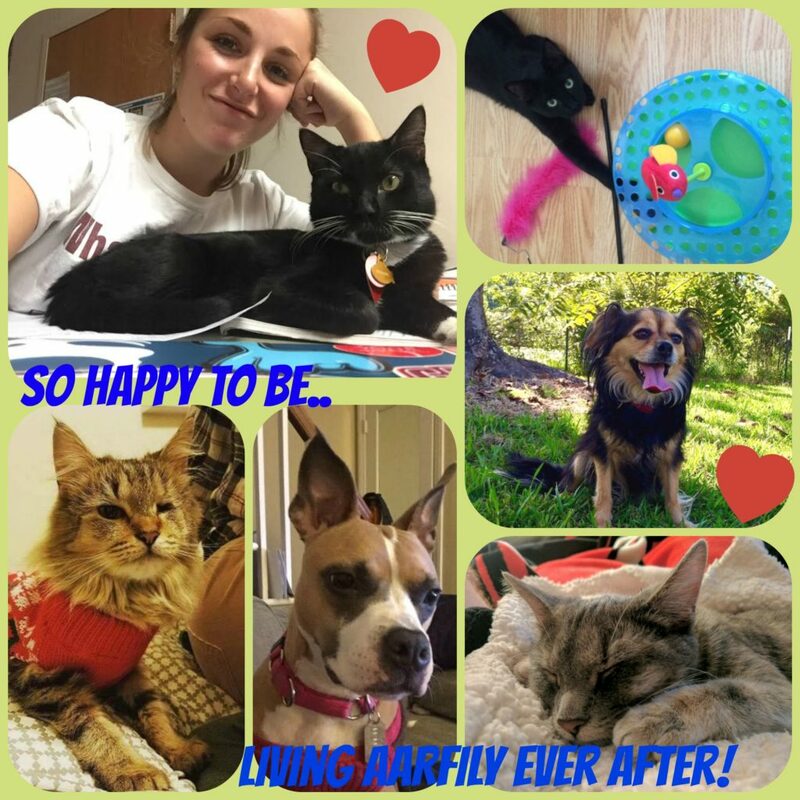 Happy AARFily ever after to some lucky dogs and cats! 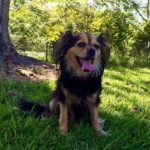 You are sure to have a smile on your face after you read their happy tails! Enjoy! Zena came to AARF from Texas, where she was surrendered by her owner to the local high-kill shelter. She was rescued and transported to Maryland by some amazing local Texans and has now been adopted and is safe and happy! 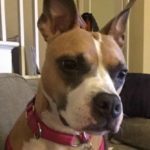 Her adopter tells us that she is a very social pup and enjoys walking in her neighborhood. She desperately wants to play with her kitty roommate but kitty says no, so Zena hangs out in the kitchen to see if any crumbs come her way! This lucky pup is enjoying her new home and we are thankful we could give her a second chance at life! Four-month-old Sammy Davis, now Cyrus, came to us from Laurel Cat Rescue. He was adopted by Sarah and is doing great with his Beagle brother named Miley. 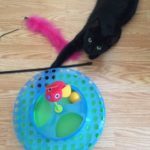 Cyrus enjoys his feather-on-a-stick the most but also loves to chase a laser pointer and bat toy mice around the condo. “He is a sweetheart– I am so glad that I got to adopt him from you guys,” Sarah shares. Sneakers was three-months-old when he was found as a stray and taken in by our amazing foster, Wanda. He was adopted by Rachel, who tells us he is a crazy climber! He likes to be up high and hang out on her shoulders while she goes through her morning routine. He mostly lives with Rachel at school but likes living with the family while on break. Everyone seems to love him and enjoy having him around! We are so happy to hear that he is a treasured family member! 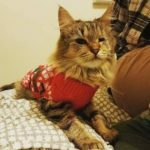 This one-eyed kitty named Baby Bear was surrendered by her owner to a local county shelter. The shelter was getting full and therefore they began to reach out to rescues. AARF was happy to help and found this sweet girl a wonderful home with Emily. Emily calls her “BB” and tells us she likes to follow her around the apartment. Baby Bear spends her days sprawled out on the couch and doesn’t have a care in the world anymore. 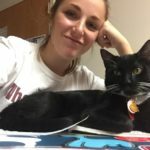 Thanks, Emily, for choosing adoption! And a HUGE THANK YOU to those who decide to ADOPT a furry family member! 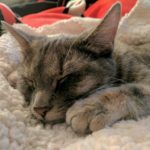 These cats and dogs really do deserve a second chance and will thank you for it all the days of their lives!